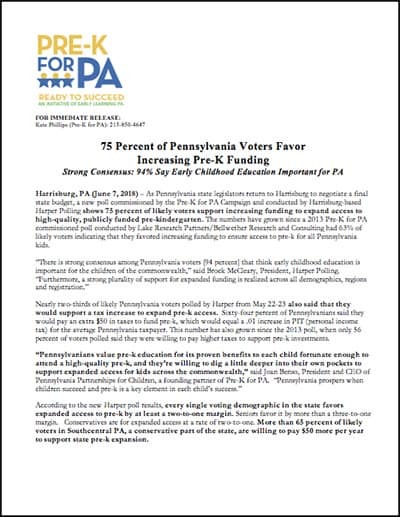 According to a new poll commissioned by the Pre-K for PA Campaign and conducted by Harrisburg-based Harper Polling, there is strong consensus among Pennsylvania voters [94 percent] that think early childhood education is important for the children of the commonwealth. 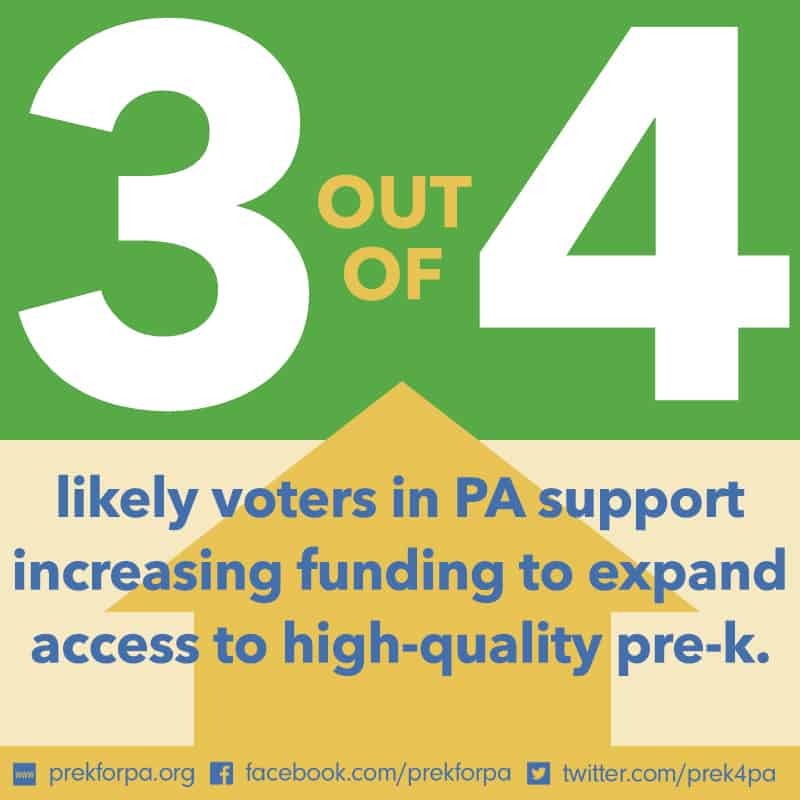 Furthermore, a strong plurality of support for expanded funding is realized across all demographics, regions and registration. 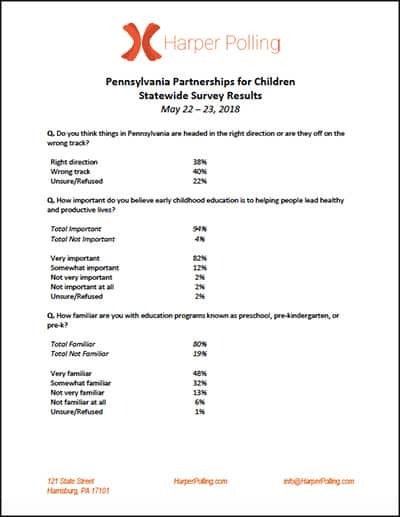 Please visit the documents below for the full results of the poll. Share these across Facebook & Twitter. Right-click and “Save As…” to download. 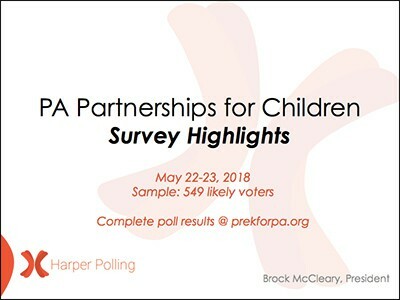 Find a PDF, Power Point and Word document below with further information about the survey.